Norrathians – it’s time to team up with your guildmates to unlock access to the new Highhold Guild Hall and Skyshrine Capital Guild Hall! These two guild halls may be earned by purchasing guild tickets from the Marketplace [for $1 or 100DBC each]. Anyone within a guild may purchase and make use of these guild tickets. Each ticket increases the count on the guild medal, and once 350 (for Highhold) or 400 (for Skyshrine Capital) total tickets have been used, the medal is granted and the guild will have access to purchase that guild hall from the guild bells in Antonica or Commonlands. Both guild halls also require a guild of level 30 or above. Grabbed too many guild tickets? They can also be sold on the broker or sold for status! PLUS, the Skyshrine Capital Guild Hall has a bonus amenity available – the chrono echo of a dragon! Members of the guild that owns the hall may find that she grants a special bonus to them. Instead of being no-value only, it’s Lore/No-Value/No-Trade version. That can only be picked up we believe is every 24 hours once. Not worth the $400 dollars it took to purchase. NOTE: Unlike all other prestige housing, these two new guild halls require the full upkeep cost of a regular guild hall, plus any amenities. The Norrathian Spotlight is an opportunity for the EQ2 Community to recognize one player per month who contributes to the player community in some measurable way. The last official nomination was in January 2015 when I was featured. I’m overjoyed to announce that fellow EQ2 players take up the mantle of identifying one player per month and interviewing them about how they make Norrath just a little bit better for everyone else. 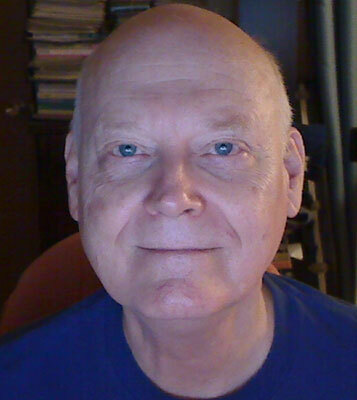 Starting this month, we will try to spotlight one person a month who contributes to our experience in Norrath. You can nominate people for us to spotlight in this thread. Suka: Where do you get inspiration from? EverQuest II has one of the most advanced decorating systems of any MMORPG. 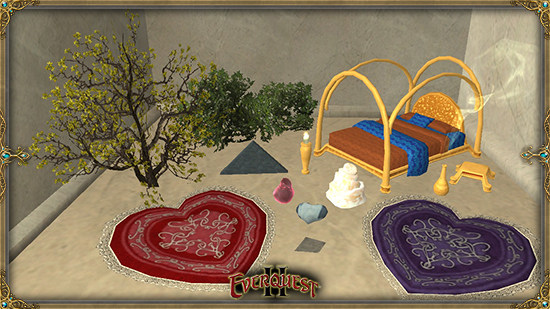 It likely has more house items than any other game, as evidenced by the frequently updated, screen-busting fansite EQ2Furniture which allows players to see a spinning preview of all 16,325 house items in Norrath. However this paradise of customization has become a huge data storage problem for the EQ2 team and players alike. Although the Dungeon Maker feature never lived up to its hype or even the lowest expectations due to the anemic customization and storytelling options it offered, it provided mass storage and an almost unbelievable scale for house decorators. All told, each EQ2 character can own 25 houses and 20 dungeons. With an average limit of 1,000 items (plus 1,000 books, plus 1,000 building blocks), that’s an eye-watering 135000 house items per character. It’s the Gnomeiest time of the year in Norrath (and, yes, Gnomeiest is totally a word) – Tinkerfest has returned once again! Grab your gadgets, wind up your wrenches, and get ready for an EXPLOSIVE good time this summer! Our good friends at Gnomeland Security are ready with new and returning favorite features. Make sure you try this year’s new quest, We Can Rebuild. Look for Tinker Thermald in the Steamfront Mountains to get started. 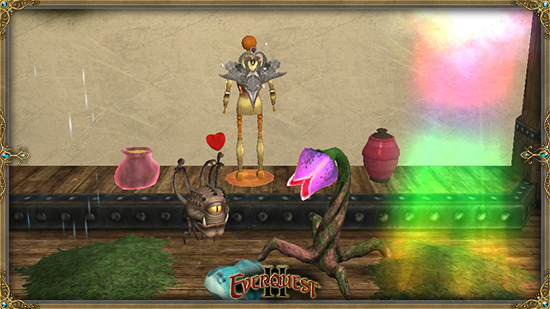 While you’re questing, returning quests will have new rewards this year, and new items are also available to purchase from Myron, the Tinkerfest Merchant. Would you rather get your hands greasy as you craft your own holiday-themed wares? Pick up the New Tinkerfest Blueprints 7.0 and put your tradeskilling to good use. There are plenty of widgets to work with. Check to see your watch is wound, and don’t delay! 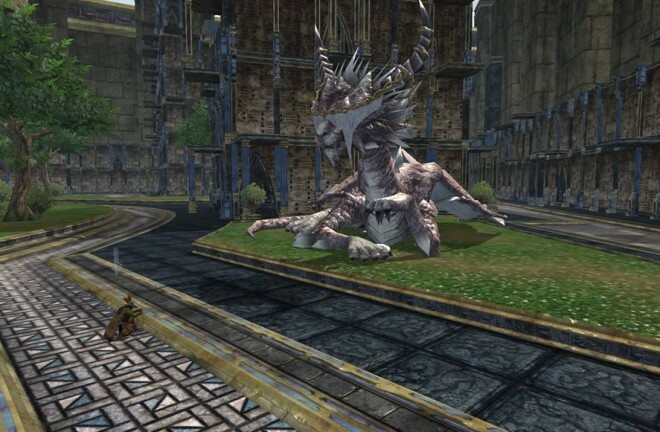 Tinkerfest festivities will be in Norrath from Friday, July 17th throughMonday, August 3rd. Pirates are SO in right now! Here’s the Rum Cellar-themed items that have sailed into the harbor with the recent update. The atmosphere of the Rum Runners Cove Prestige House is perfect location for a relaxing topical getaway or a rowdy hangout for your favorite privateers. 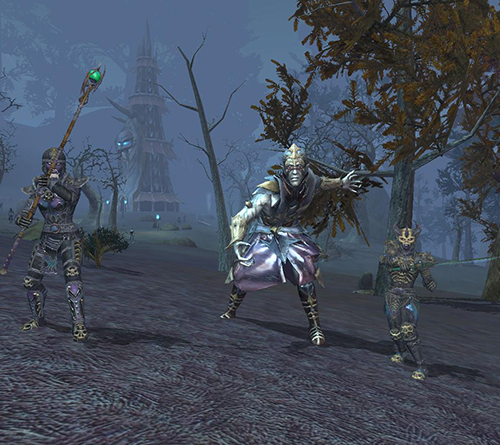 US EverQuest II Live Servers will be brought offline on Wednesday, May 27, 2015 at 7:00AM PDT* for an update. Estimated downtime is approximately one hour. 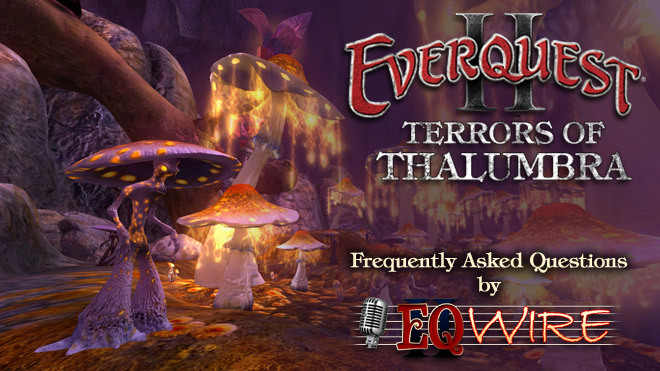 EU EverQuest II Live Servers will be brought offline on Wednesday, May 27, 2015 at 9:00PM PDT* for an update. (Approx. 5:00AM London Time on May 28, 2015). Estimated downtime is one hour. Alle deutschsprachigen Server werden um 6:00 CET am 28.05.2015 zwecks einer Serveraktualisierung heruntergefahren. Die vorgesehene Stillstandszeit wird etwa 1 Stunde(n) betragen. Le serveur de langue française sera arrêté à 6:00 CET le 28-05-2015 pour une mise à jour du serveur. Le temps d’arrêt sera d’environ 1 heure. The barrels used against Sir Wharfie should always respawn and be visible should the encounter against the armored rat reset. The achievements, Like a Bull in a Pirate Shop and Crowd Control, are now achievable. Fixed a bug where some attribute values were exceeding the maximums displayable in the UI. The recipe for Smite Corruption II (Grandmaster) may now be crafted. The recipe for Unflinching Will V (Grandmaster) will now correctly return Unflinching Will V (Grandmaster) when crafted. Plane shift will now grant chance to proc pet’s primary quick attack. Undead Knight IX appearance is now that of a Jun’Rah. Who Let The Ducks Out? Quack Quack Quack Quack! Last summer, EQ2 player Errrorr created a thread championing a new type of player mount — ducks. For forty-three pages, hilarity ensued. However the thread was put to bed by lead animator Tom “ttobey” Tobey in January of this year when it became clear from higher ups that we’d likely never get such a mount. Theories were bandied about that sales of the bunny mounts had not been sufficient to justify their development effort. It may have been felt that these more frivolous and genre-bending mounts just didn’t resonate with players. Personally I stick with flying appearance mounts so I don’t lose the stats of my primary flying mount. Equipping a bunny mount would cost me significant benefits for my character. Further analysis of the timing of events would suggest another possible reason why duck mounts were initially shot down. But either way, fast forward three months and duck mounts are now a reality! NOTE: Yellow duck mounts will ONLY be available for two weeks (until May 19th, 2015). It’s been a long time coming, but the moment many of you have been waiting for has FINALLY hatched… duck mounts are now available in the Marketplace! Just Can’t Get Enough Ducks?